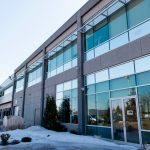 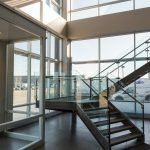 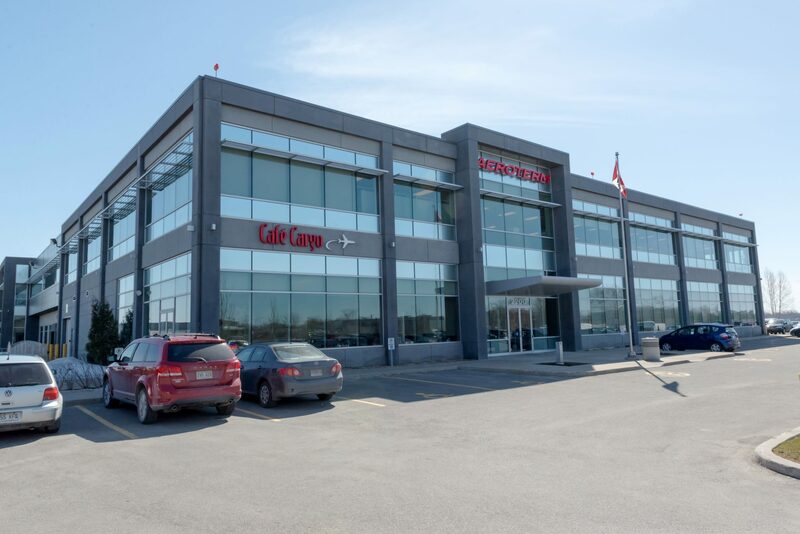 Founded in 1992 in Montreal, Aeroterm has grown to become the largest owner-developer of airport real estate in North America. 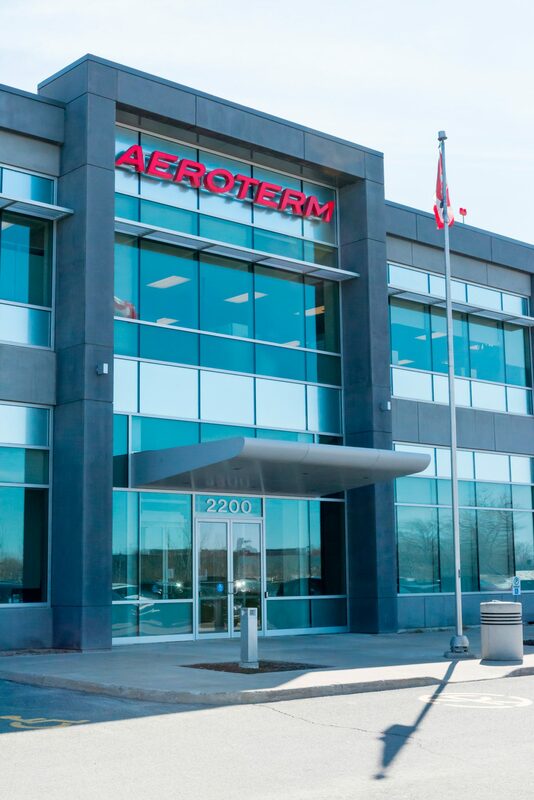 Aeroterm now claims over $2 billion of assets and 9 million square feet under management. 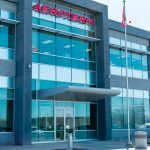 Aeroterm was Grenier + Richards first client, and twenty years later remains one of our most valued accounts. 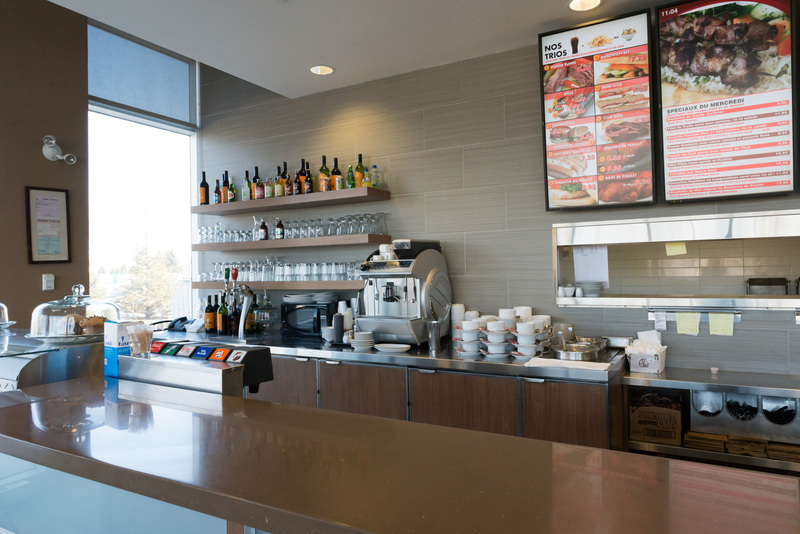 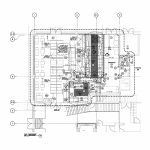 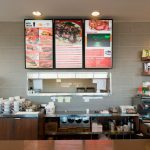 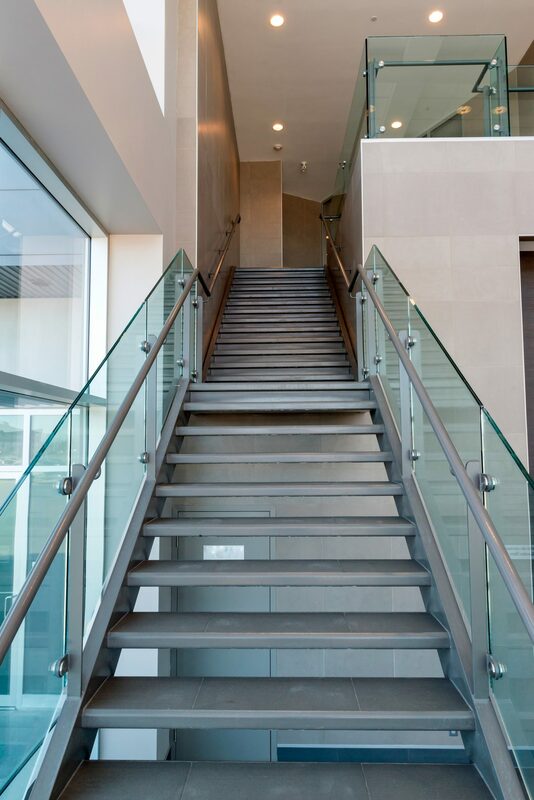 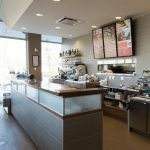 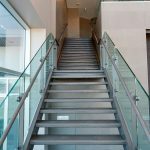 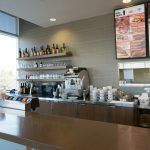 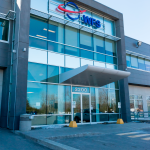 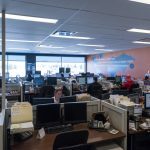 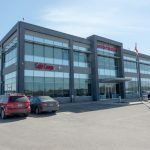 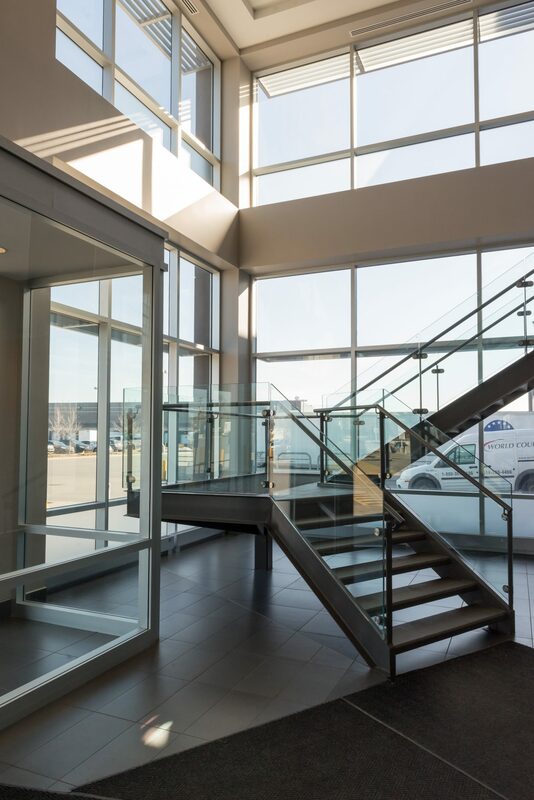 During this time we have collaborated on new buildings, additions and renovations to existing facilities, interior fit-ups, leasing plans & interior design, building code evaluations, and any other work that affects their portfolio of Canadian properties. 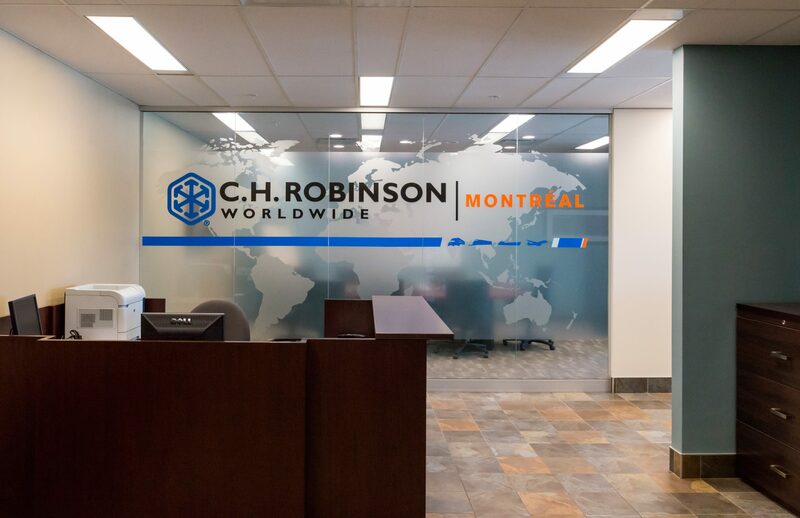 From large to small, we have undertaken over 150 projects for Aeroterm and their family of companies including Real Term, Real Flex, and ITW (Intermediate Terminals Worldwide). 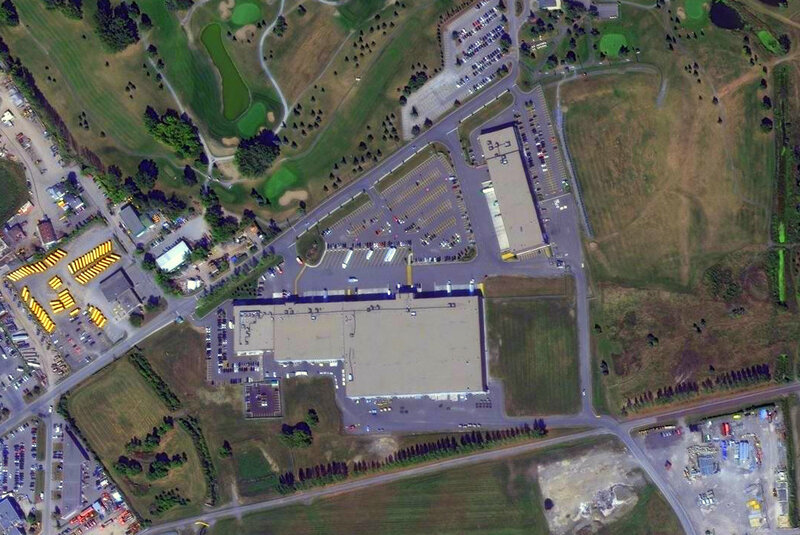 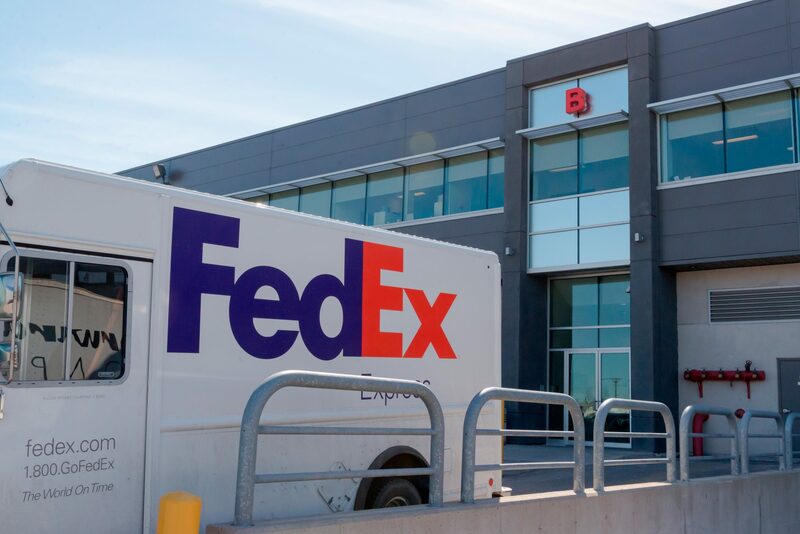 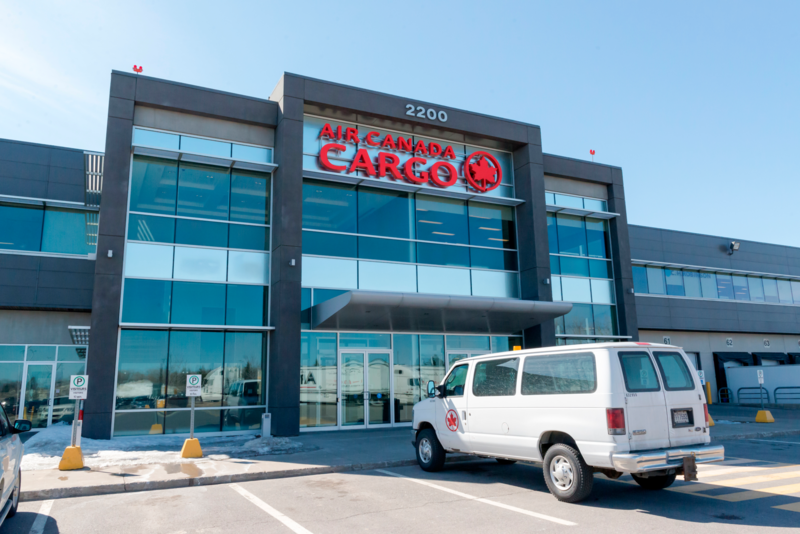 Our early mandates included projects for tenants at existing facilities, such as Air Canada, Customs Canada, RCMP and Fed-Ex (Mirabel). 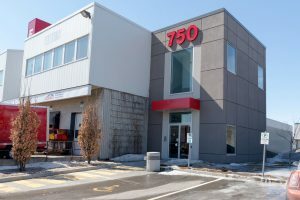 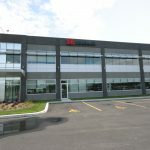 When ADM took the decision to transfer flights from Mirabel to Dorval, Aeroterm undertook its first major construction project of a new facility. 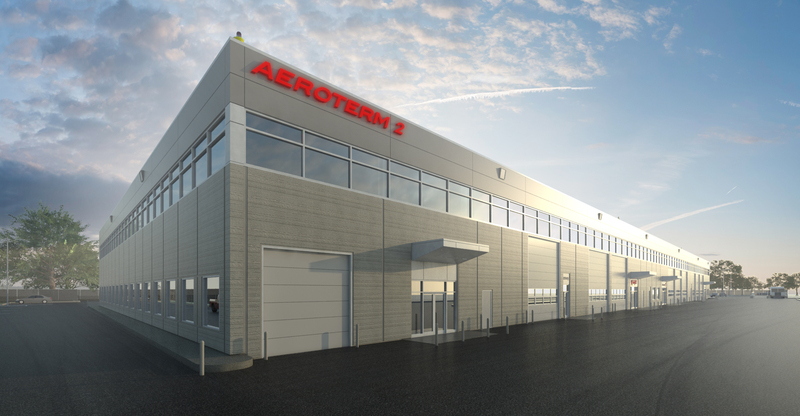 Aeroterm V was completed in less than 12 months, allowing the transfer of more than a dozen air cargo tenants with minimal disruption to their activities. 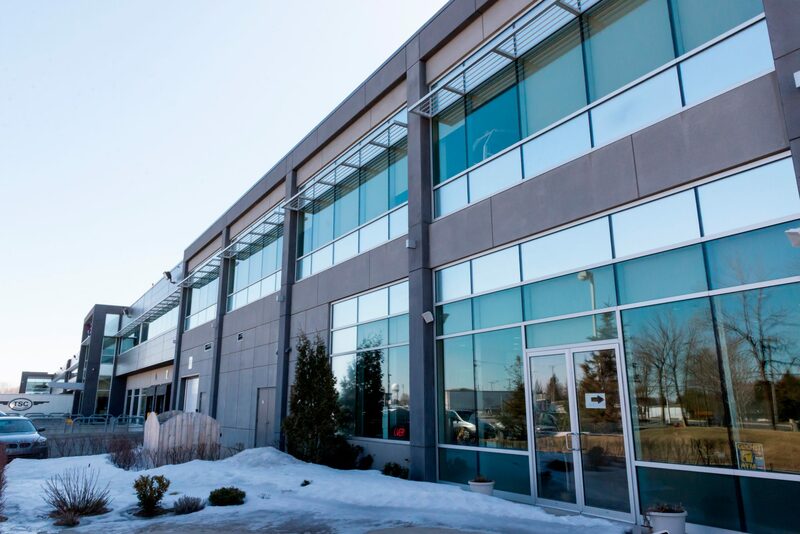 The following year, we expanded the existing Aeroterm IV building towards the south to accommodate new demand for space. 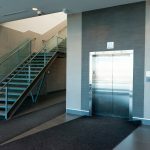 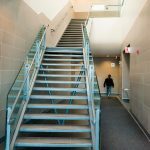 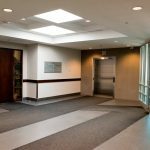 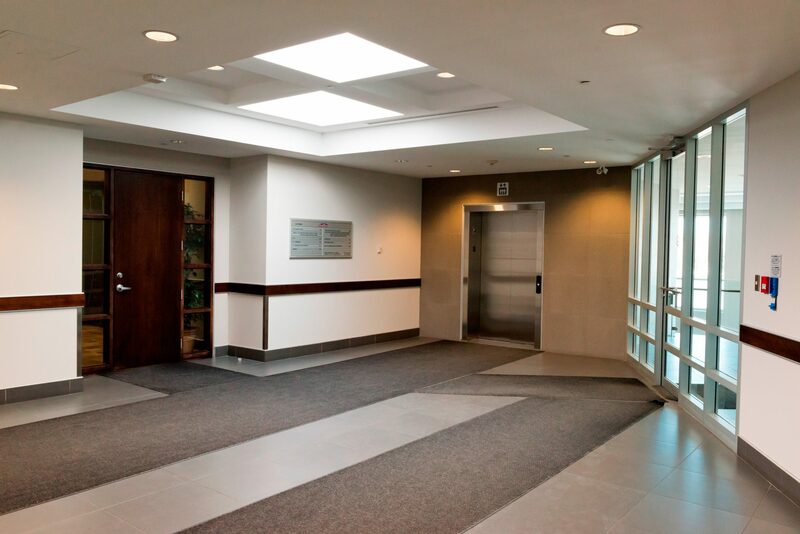 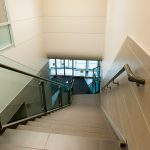 Another addition was built on the north end a decade later, providing a main entrance with elevator and rendering the 2nd floor offices wheelchair accessible. 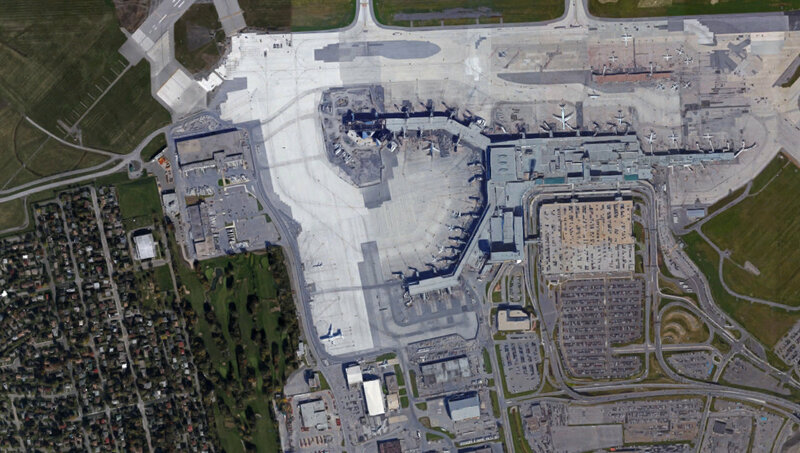 When Montreal’s airport authority (ADM) expanded the taxi-way to the west of the passenger terminal at Trudeau International Airport, a number of existing structures required demolition. 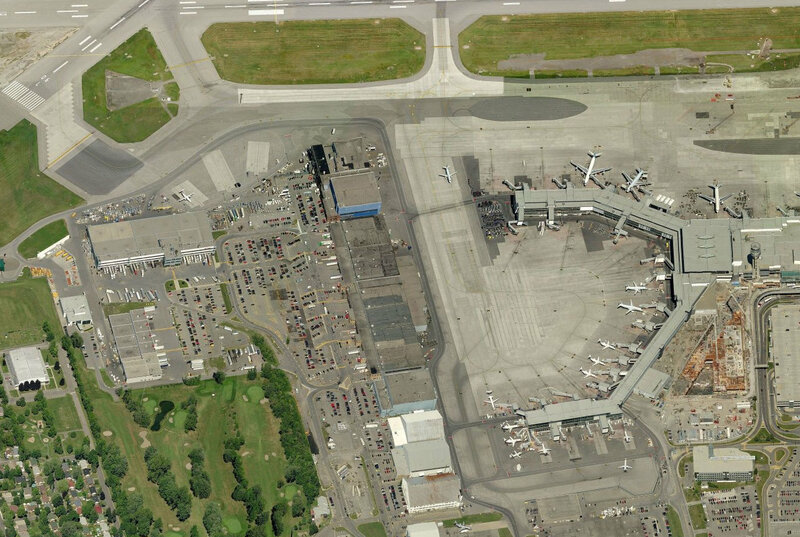 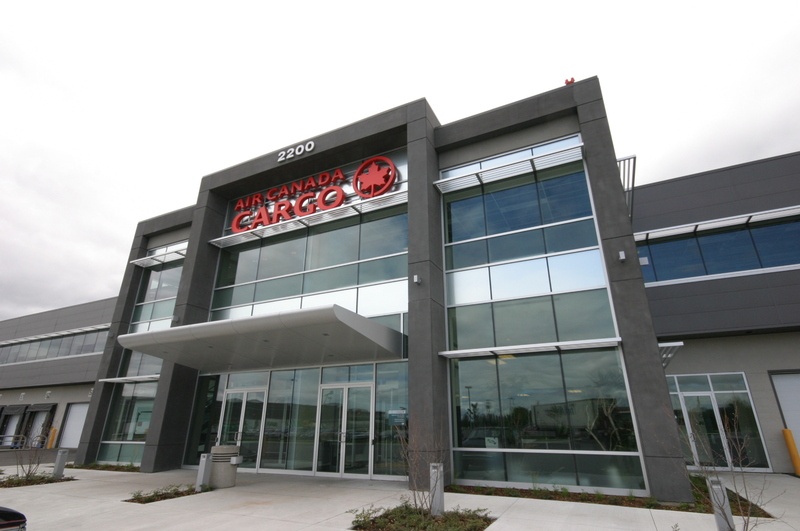 These included Air Canada’s cargo handling building, as well as others occupied by Schenker and Mercury. 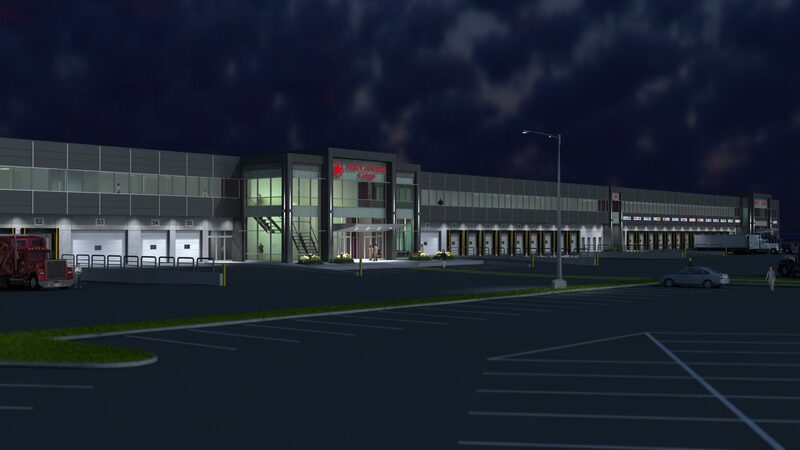 Aeroterm’s new North Cargo Village was designed by Grenier + Richards to replace these aging buildings with a new state-of-the-art facility offering the latest in construction techniques, energy efficiency, and automated cargo handling. 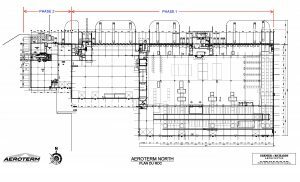 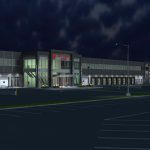 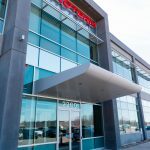 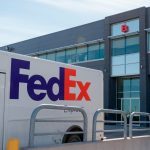 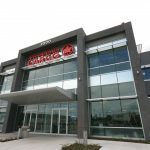 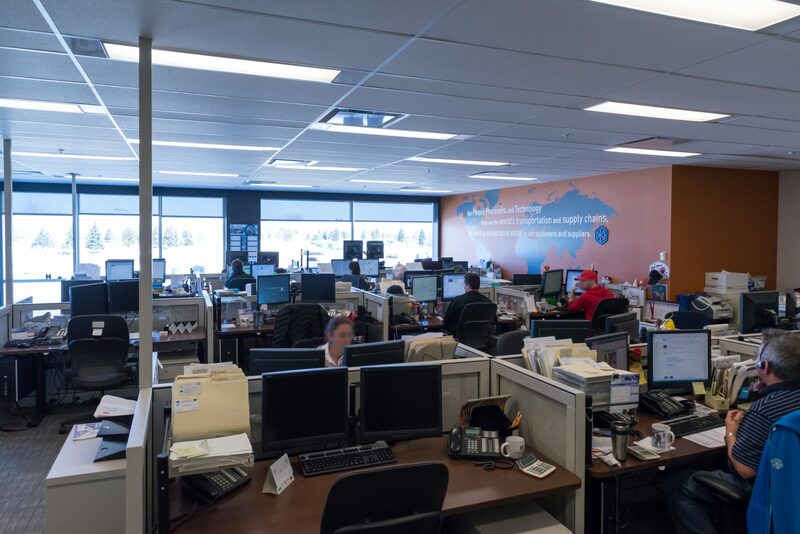 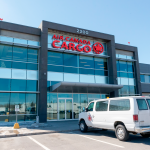 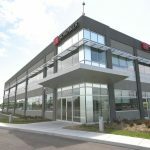 Phase 1 of the Aeroterm North project included a new 260,000 square foot cargo & office facility to house Air Canada Cargo and Mercury, along with numerous freight forwarders such as C.H. 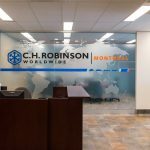 Robinson, Livingston and Nova. 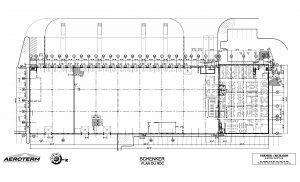 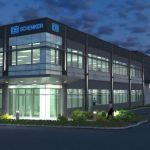 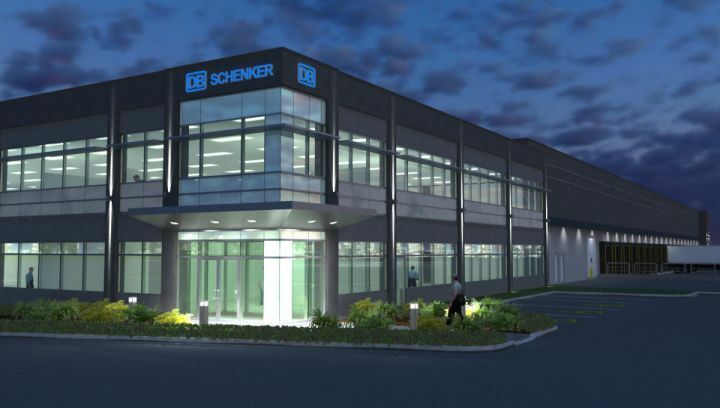 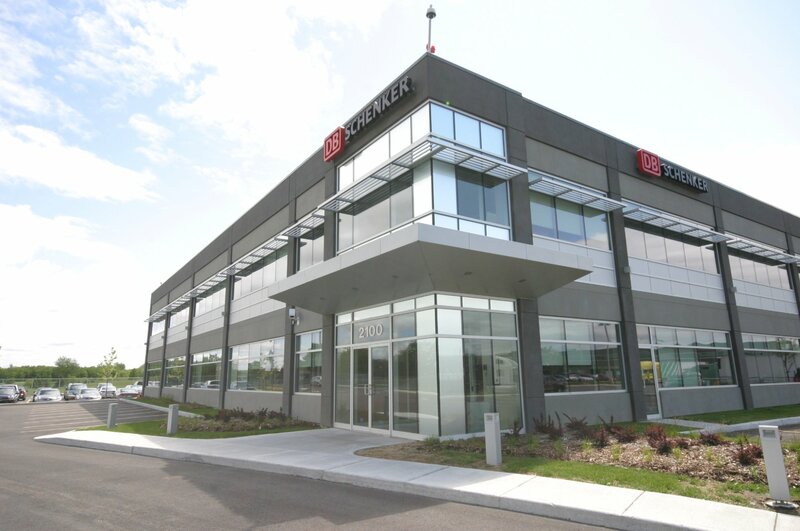 Also included in Phase 1 was the construction of a new 68,000 square foot stand-alone building for Schenker, providing space for their air-cargo to truck transfer facility as well as their offices. 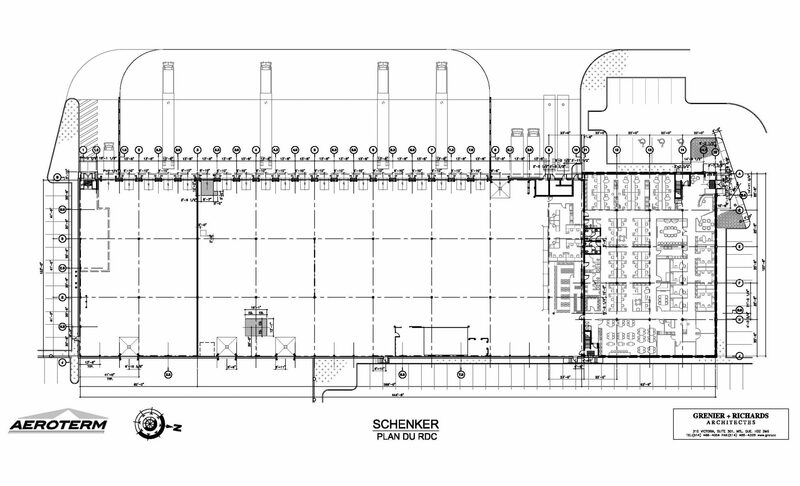 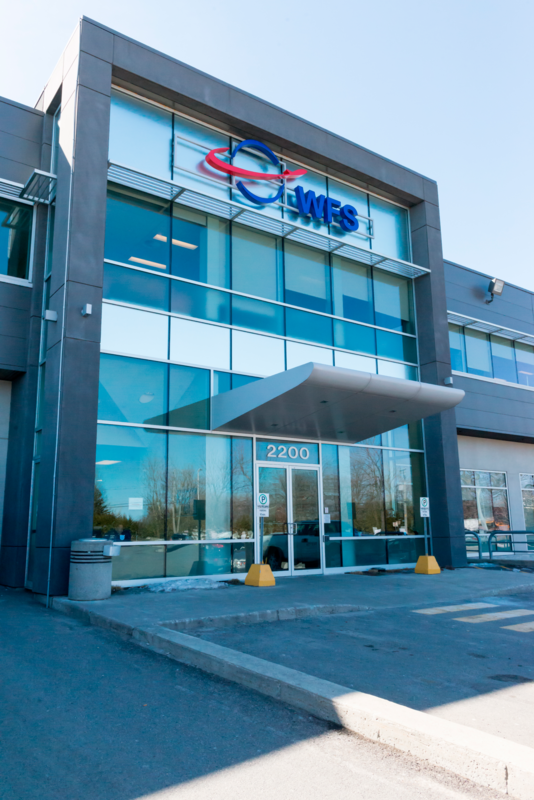 Following the construction of phase 1, Grenier + Richards embarked on the completion of the western section of the facility. 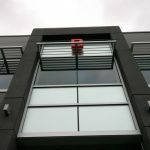 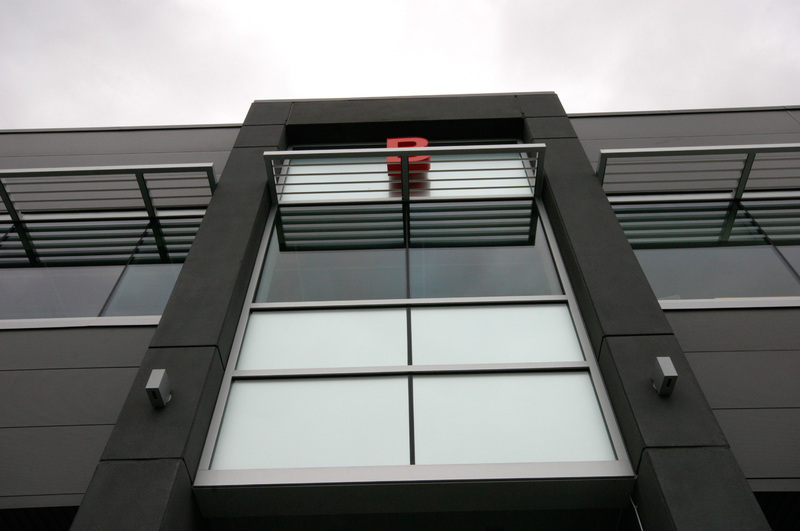 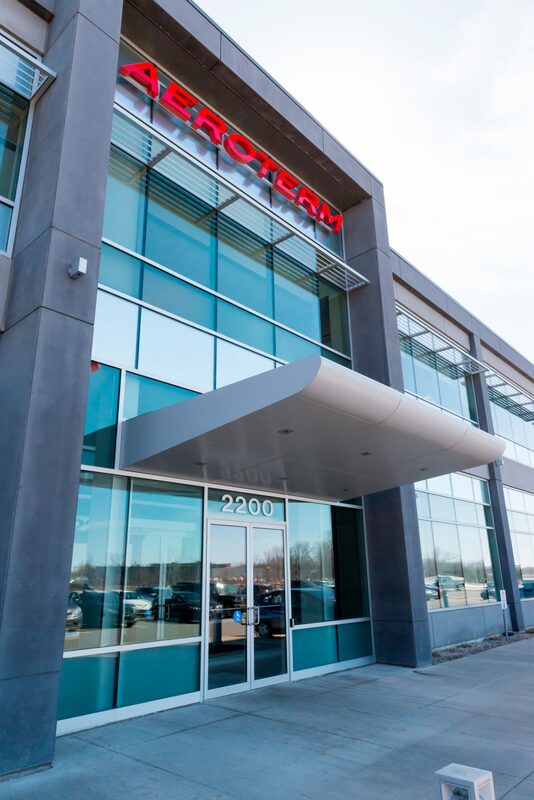 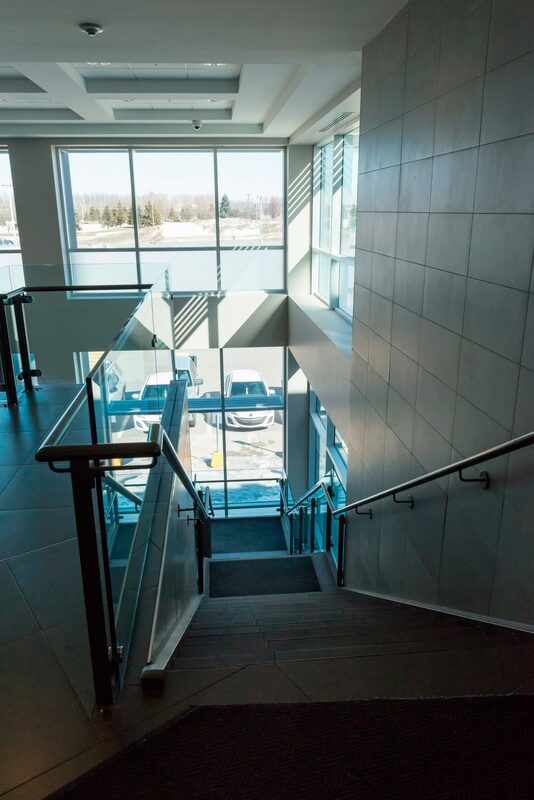 Occupying about 45,000 square feet on 2 floors, the phase 2 building acts as the gateway to the Aeroterm North site. 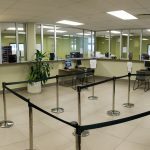 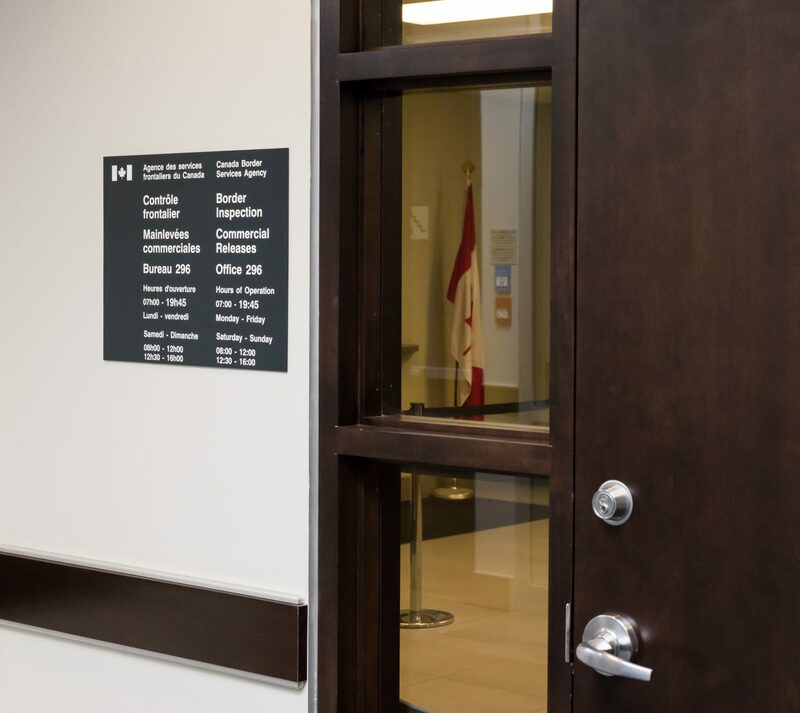 It houses the primary entrance lobby to the building, as well as offices and warehouse for the Canadian Border Services Agency. 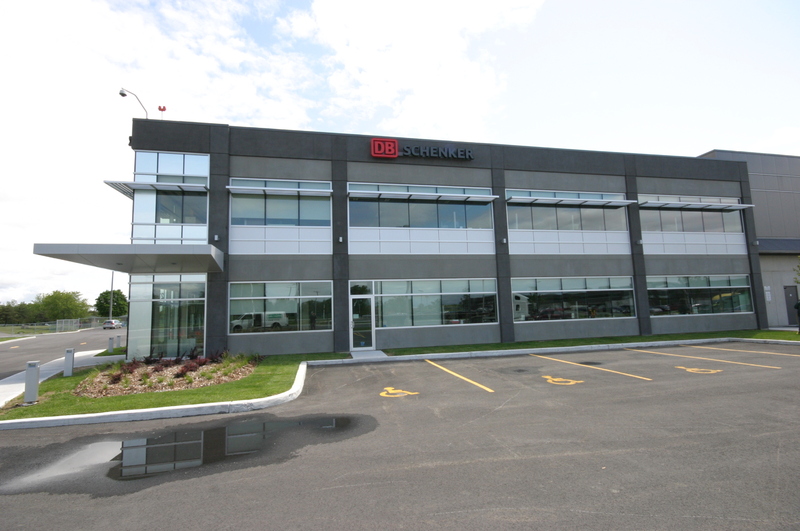 Phase 2 also houses one other federal agency, along with the Cargo Café. 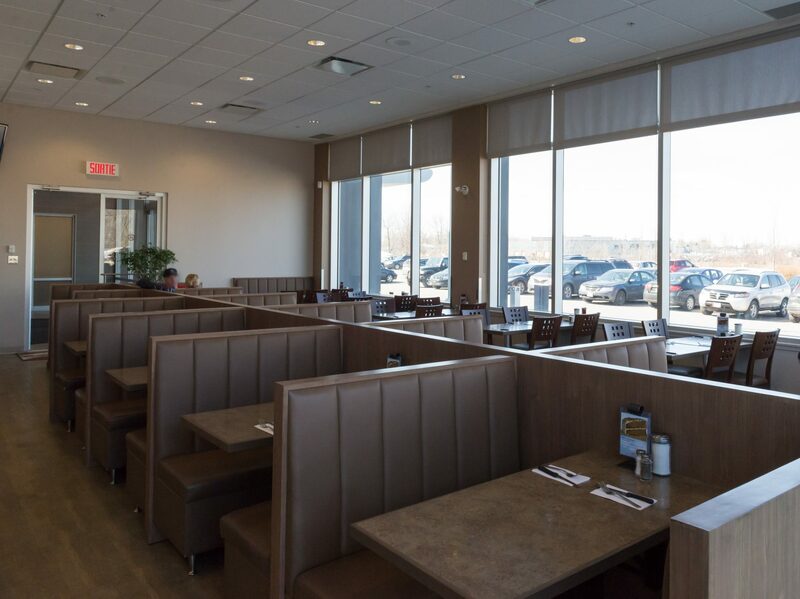 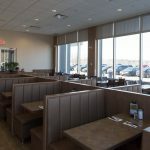 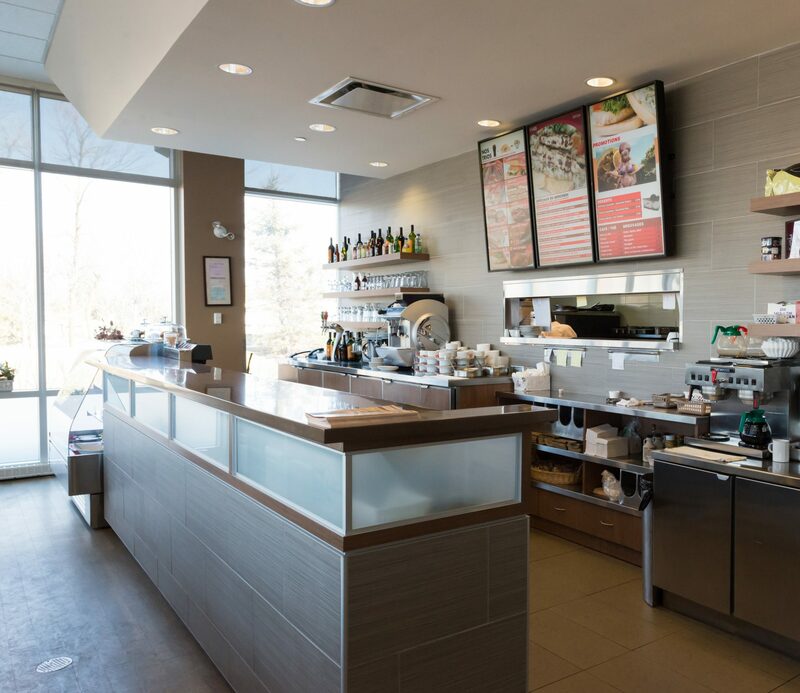 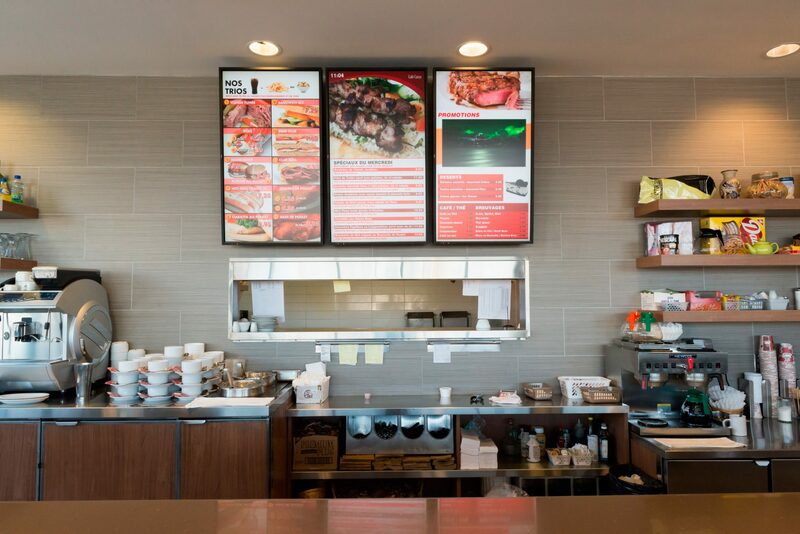 The café/restaurant provides meals for all of the North Cargo Village and its neighbours. 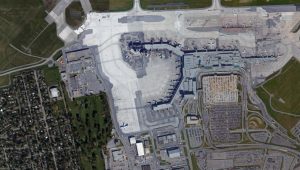 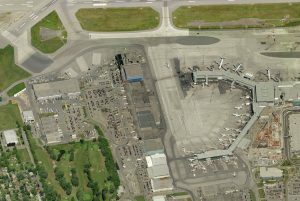 When the existing buildings west of the passenger terminal were demolished, the CBSA detachment at the airport required a new home. 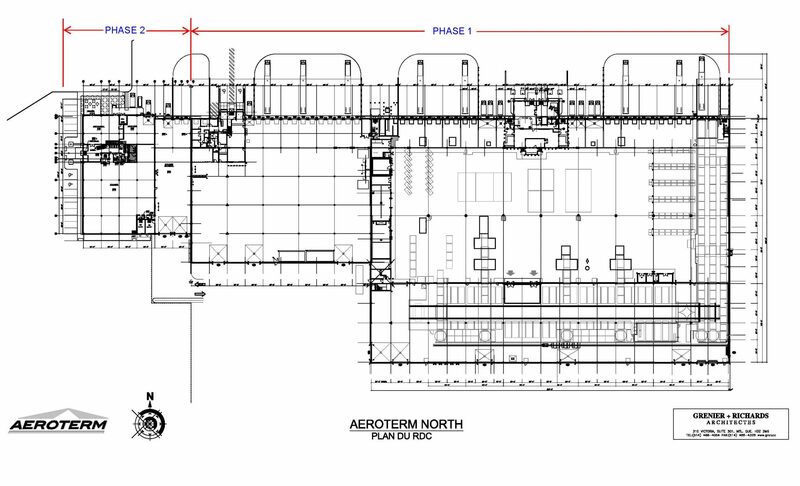 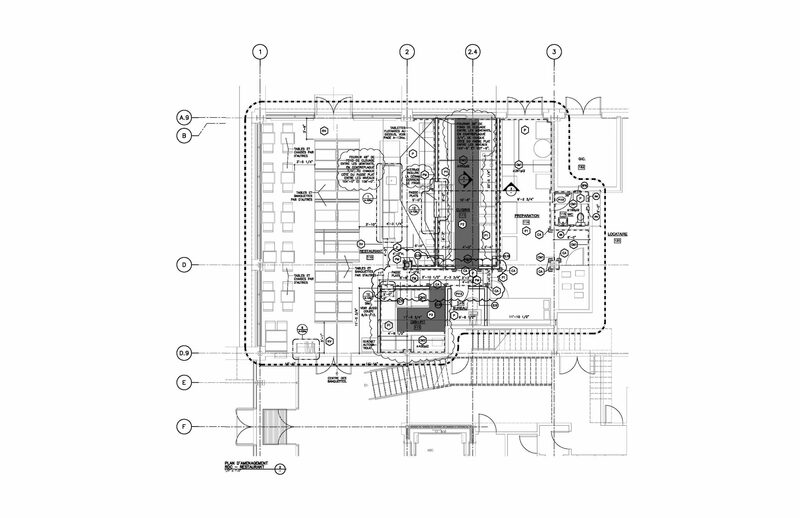 Phase 2 of the North Cargo Village was designed around the requirements of the CBSA. 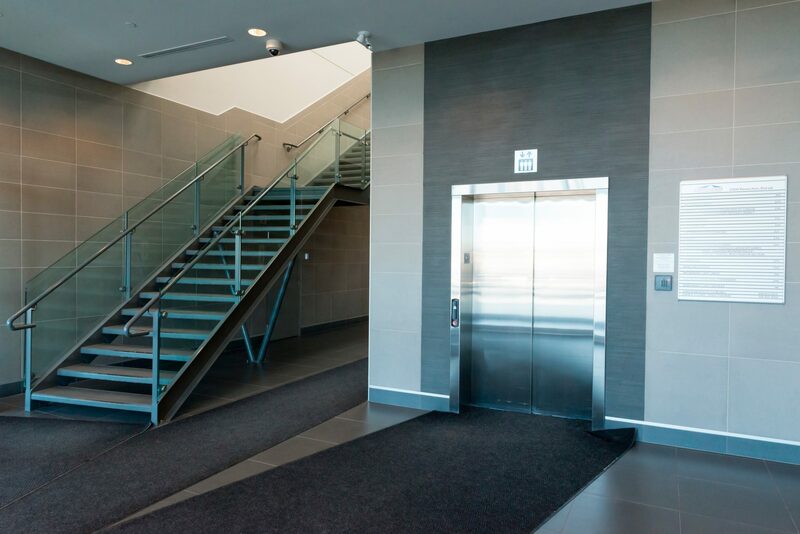 With its own entrance, lobby and elevator, the phase 2 building forms the western gateway to the main North Cargo building. 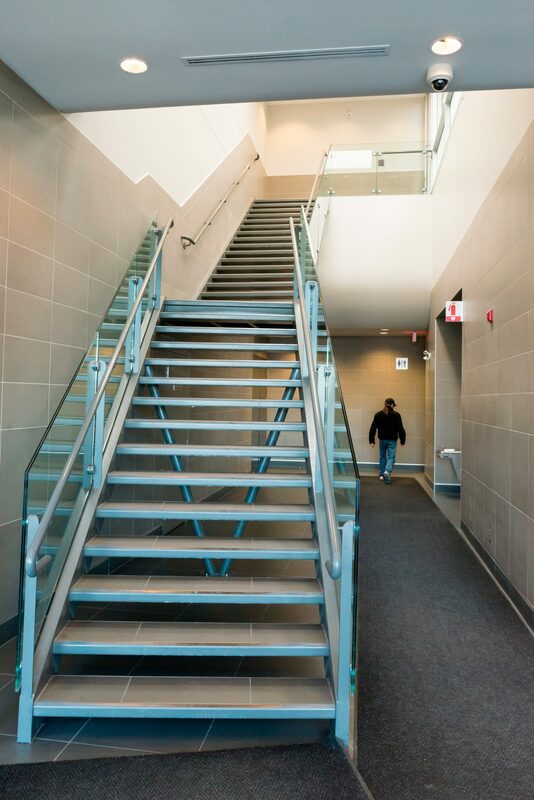 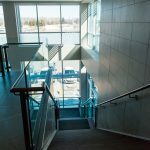 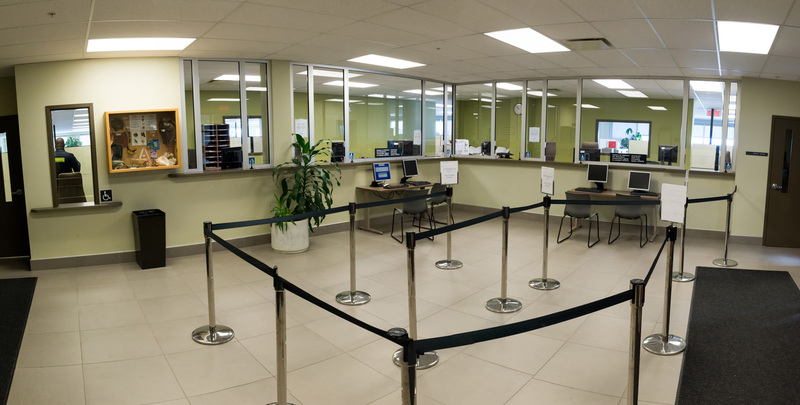 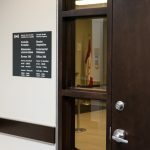 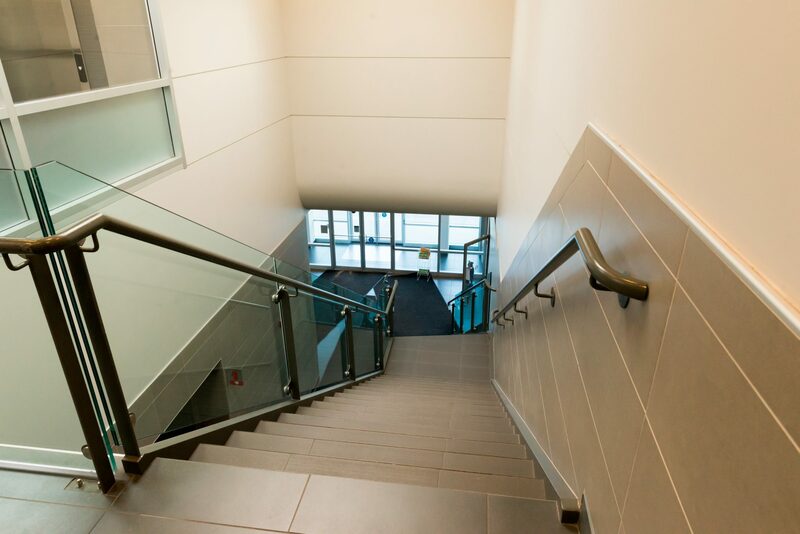 Occupying 2 floors, the CBSA facility includes over 21,000 square feet of offices, meeting spaces, archive rooms, a cafeteria, public reception area, private washrooms & locker rooms, and computer & communication facilities. 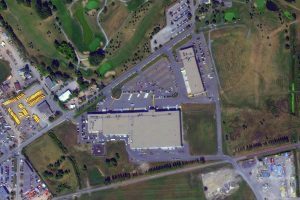 The detachment also has its own warehouse space, with both airside and roadside access.